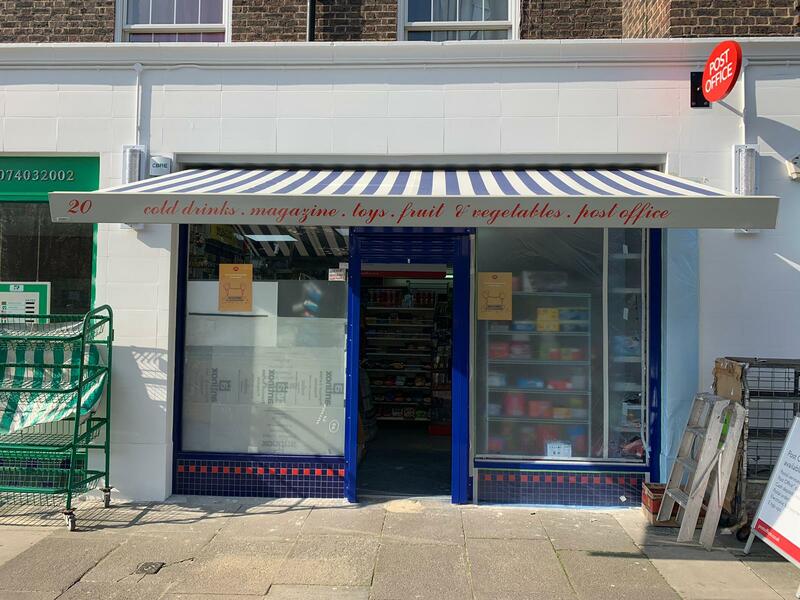 Two new recessed shop awnings in SE1, London. 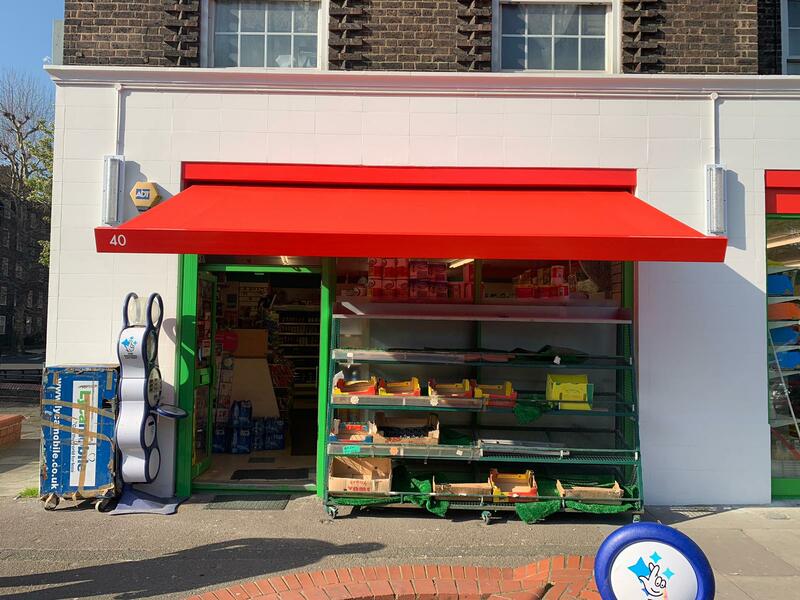 We work with councils and developers in most regions of the UK to brighten up high streets and towns. 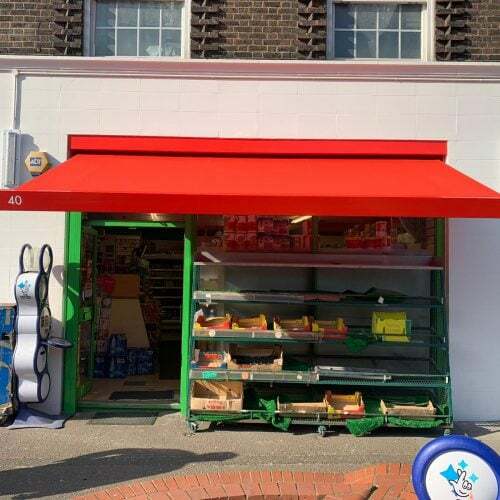 This was a recent project where the requirement was for a recessed awning that is flush with the shopfront when closed. 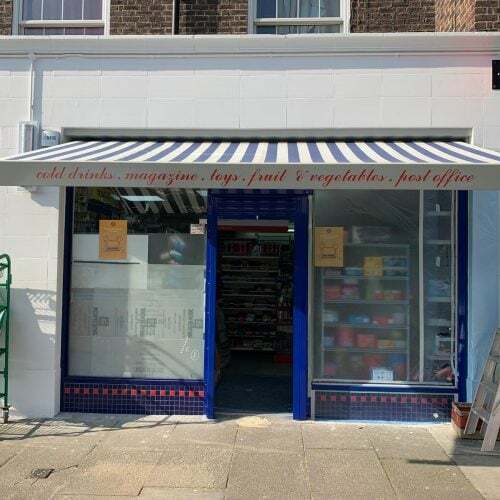 Vinyl graphics were added on the front rail. 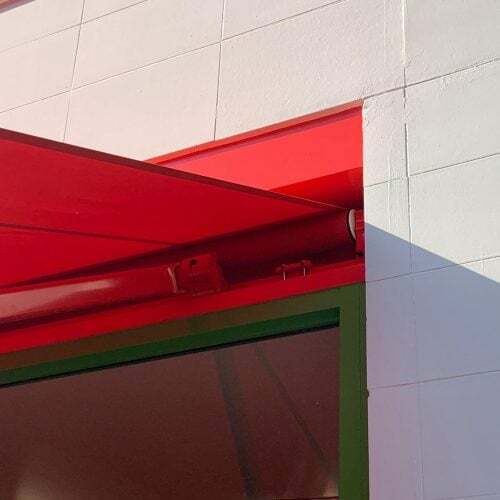 On this project we used an awning from Weinor. 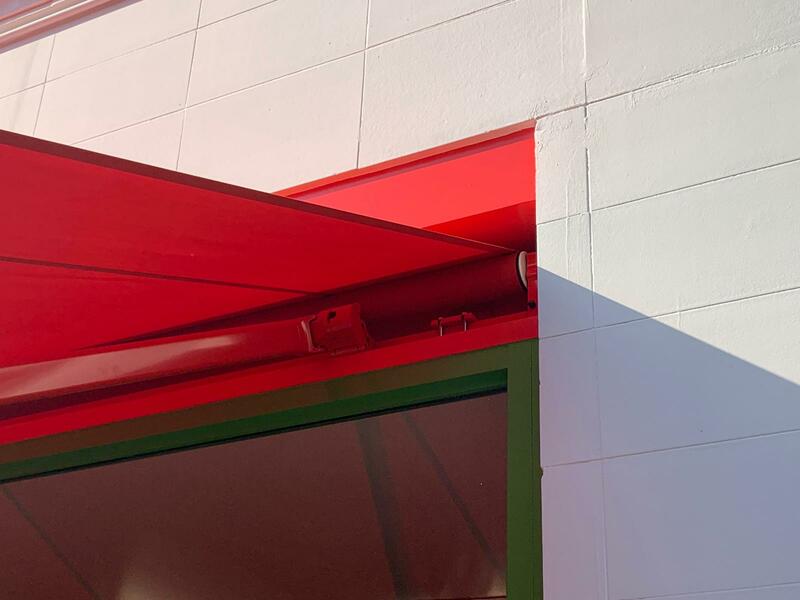 Get in touch today if you need shading solutions for you home or business.